The region is great for anyone interested in nature, ancient civilizations, handicrafts bird watchers, hot springs, mountaineers, fans of hiking and adventure sports. It’s best for people who enjoy getting to know the area through city tours as well as those who like any kind of level of the trekking. 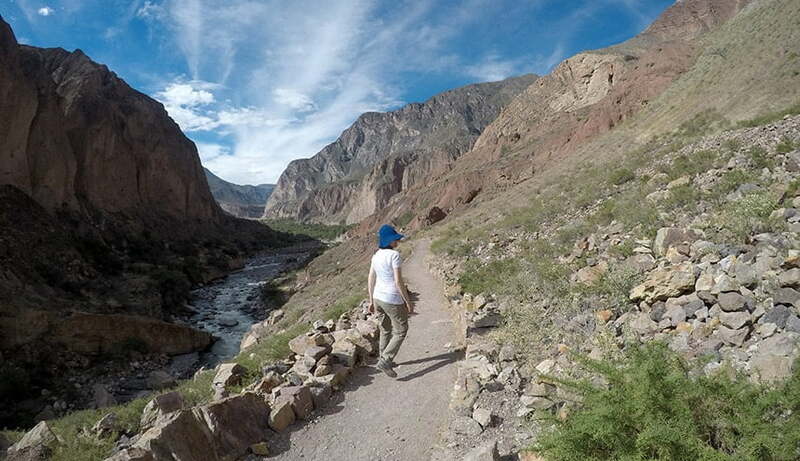 There is a wide variety of hiking from short to long with opportunities to climb. Every tour is catered to the each adventurer so whether you’re looking for a relaxing vacation or an adventure we’ve got the trip for you. You will find many ancient cultures (even older than the Incas) such as the Yarabaya and Chimbe tribes. They settled in the city’s current location, and together with the Cabana and Collagua tribes they developed an agrarian economy in the valley. 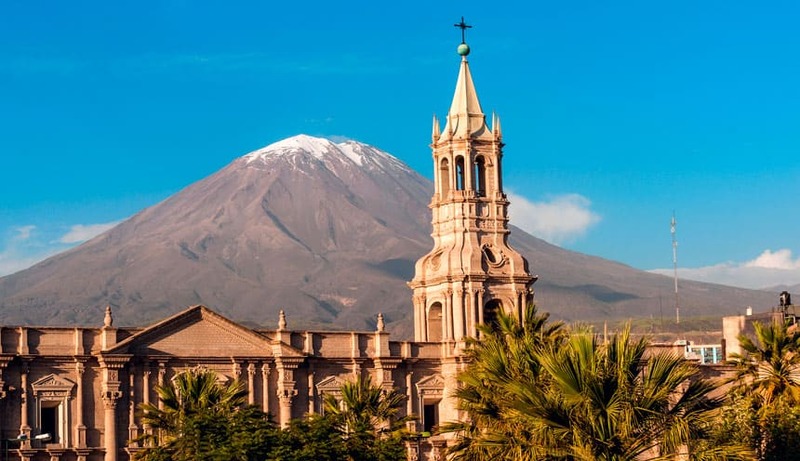 Arequipa is nestled between the coast and the southern highlands of Peru, Arequipa is the land with great destinations and heights on snow-capped peaks such as Ampato (6,288 m), volcanoes like Chachani (6,075 m) and El Misti (5,825 m). One of the first 17th century monuments in the City. It was built of “sillar” (a volcanic stone) in the neoclassical style. It houses invaluable objects, like a church pulpit brought from Lille, France, and a 15-metre high monumental Belgian organ. Built in 1580 and eventually expanded to include cloisters, plazas, streets, tiled roofs, and cobblestone paving, this walled citadel served as a totally enclosed convent for nuns from the city’s most distinguished families. 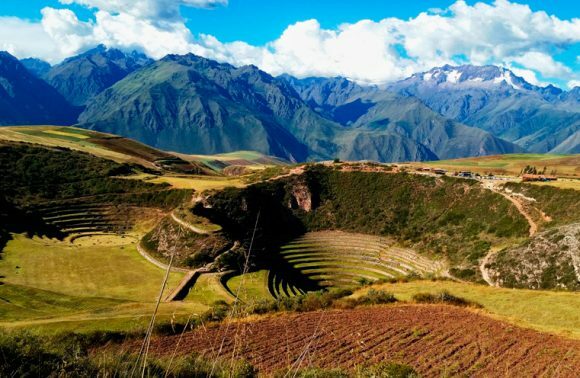 The town’s interior houses valuable colonial paintings of the Cuzco School, carvings and figures, religious relics, and well-preserved physical settings typical of daily life more than four hundred years ago. Traditional colonial mansion with a façade that features carvings in the “Mestizo Baroque” style, in addition to spacious and typical internal courtyards. It was built in 1738 for General Domingo Tristán del Pozo. It is currently the property of the Banco Continental, which has opened to the public a valuable collection of Arequipan paintings. In the Pedro Brescia Cafferata exhibition gallery, visitors can admire lovely watercolour and oil paintings by artists like Carlos Baca-Flor, Vinatea Reynoso, Núñez Ureta, and Palao Berastain. Built in 1575, it features a façade dating from the early 18th century and is considered one of the century’s finest. Architecturally it belongs to the “Mestizo Baroque” style, with a preponderance of “sillar” stone. Noteworthy features within the temple are the dome, the neoclassical altars, and especially the high altar, which stands out for its fine carvings and gold-leaf embellishments. The complex encompasses the Franciscan church, the convent, and a minor temple known as the Temple of the Third Order. Highlights within the church include the Baroque pulpit decorated in bas-relief and the silver frontispiece of the high altar. A short passageway named “El Manguillo de San Francisco” has also been integrated into the complex, which separated the church from what was once the first girls’ school, and later, the women’s prison. It has been converted into a marketplace for traditional handicrafts known as “Fundo El Fierro” (Iron Ranch). Formerly the Monastery of Discalced Carmelites of San José. For nearly three centuries, time has stood still in every space and feature, owing to the cloistered nature of the monastery. It houses the most exquisite collections of paintings, sculptures, religious artefacts, and furnishings from the 16th to 19th centuries. An 18th century mansion, it is one of the oldest and most important architectural monuments from the Baroque era in Arequipa. The house owes its name to an old mulberry tree growing in its main patio. Decorated with colonial- and republican-era furniture. The gate built of “sillar” is itself a work of art, featuring finely carved figures. Also noteworthy is a room with very old maps of America, dating from the 16th century. A picturesque neighbourhood of alleyways, narrow passages, small plazas, and spacious houses, it is the oldest neighbourhood of Arequipa and is also said to be the site where the city was founded. The Dominican priests were established there in 1538. Its premises exhibit pre-Hispanic textiles, mummies, and stone and metal objects. It houses valuable ceremonial “keros” and cups in its Yabar Collection. Permanent exhibition of Peruvian painters from 1900 to the present, as well as some sculptures and photographs. The museum is a stately home surrounded by gardens, situated across from the old railway station in the area known as “Barrio inglés” (English Neighbourhood) after the British-style houses that are very common in the area. It displays around 1,000 objects (ceramics, textiles, funerary bundles, as well as stone, metal and wood artefacts) from the different cultural groups that developed in the region from 12,000 B.C. 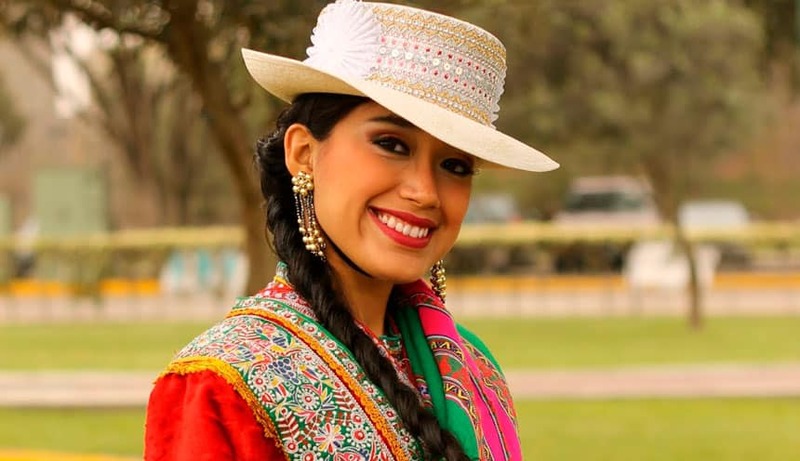 to the colonial period: Nazca, Tiahuanaco, Wari, Churajón, Acarí, Aruni and Inca, in addition to transitional and colonial items. It features goods donated by Arequipan families who had jealously guarded the relics of their ancestors. It was established on 18 August 1955 in the upper floors of the Municipal Library. Later, on 15 August 1977, it was moved to its present location. The property was donated by the Presbyterian Jorge Antonio del Fierro Velarde. The historic house was built at the beginning of the 20th century. 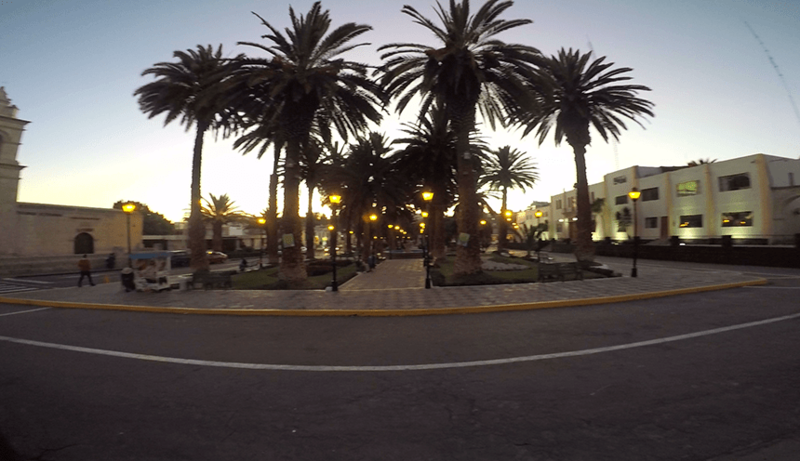 It was owned by Don José Villalobos Ampuero, a doctor and former mayor of Arequipa. It houses works by great masters such as Tiziano, Goya, Lefone, Erard, and Wedgwood, among others. The Villalobos family still lives in the house. This 18th century mansion is one of the oldest and most important architectural monuments from the baroque period in Arequipa. The house is named after an old mulberry tree that grows in its main courtyard. It is furnished with pieces from the colonial and republican eras. The ashlar masonry facade is a work of art with carefully carved figures. An example of the detailed carving is a crown on a shield, held up by two angels. The shield bears a castle, a bird, a puma and two crossed keys. Inside is a room that houses ancient maps of the Americas from the 16th century. Built in the 19th century, it consists of a series of “sillar” arches, on which words of famous Arequipans have been recorded. From here, visitors are afforded a superb view of the city and the Misti volcano. On Easter Sunday, the plaza is the setting for the traditional Judas-burning, wherein en effigy is burned that represents a current member of society whose actions have incurred the ire of the people. One of the most significant and traditional stately homes or mansions in the region, built from “sillar” on the edge of a cliff. 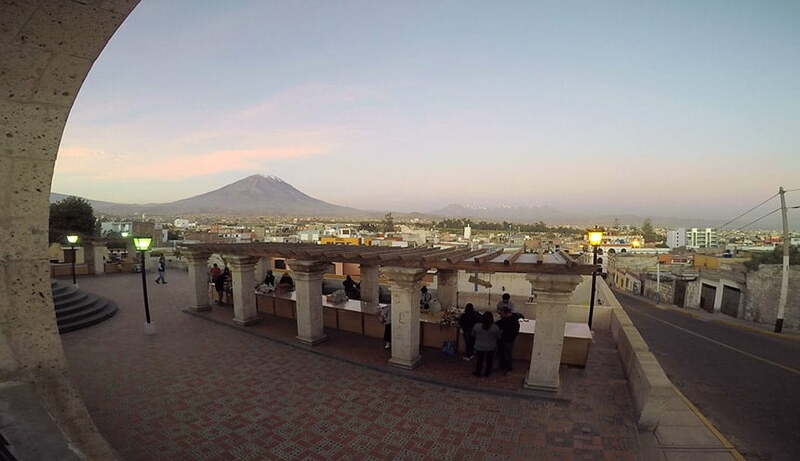 It is said that Garcí Manuel de Carbajal, founder of Arequipa, ordered its construction for his son. Later, in 1785, don Juan Crisóstomo de Goyeneche y Aguerreverre, its new owner, renovated it with the stately characteristics it bears today. The Misti volcano, at 5,825 masl, is the city’s guardian. 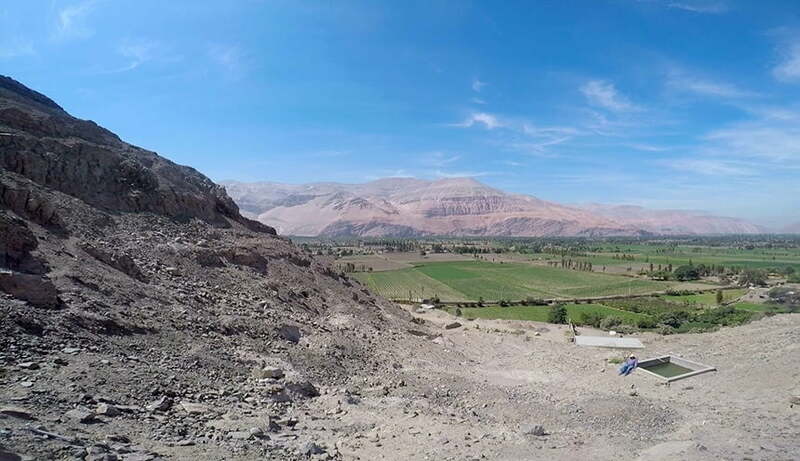 From its peak it is possible to make out the city of Arequipa, the Chili River Valley, and the Chachani and Pichu Pichu volcanoes. 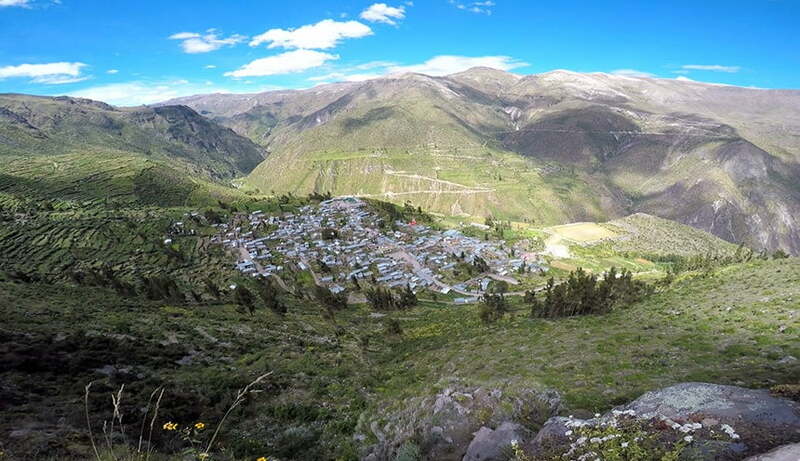 One of Peru’s most challenging climbs, at 6,075 masl. Even though it is a dormant volcano, the lava is still visible and forms small ravines and moraines. The ascent takes two days and one night. One of the greatest cave art sites in the world. Some five square kilometres populated by stones covered in thousands of diverse images that were carved by the inhabitants of the region between 700 and 1500 B.C. Just a few minutes away is Querullpa and the astonishing footprints left some 150 to 200 million years ago by prehistoric animals that inhabited the territory when this mountainous place was a tranquil beach. Magical terrain between 1,700 and 3,800 masl, with more than thirty small volcanic cones, each perfectly distinguishable. Dwarf volcanoes of varying heights (from 30, 60, 80 up to 300 metres) make for a rare spectacle that unfolds in the passages between lava flows from past eruptions. Its villages are inhabited by ancestral communities in a constant struggle for subsistence in these harsh lands. Between lava flows, unique flora and fauna flourish, among them sixteen species of cactus. 6,288 masl, temporarily inactive, with a permanently snowcapped peak over 5,000 masl. Vegetation is scarce at its base, consisting largely of thorns and Peruvian feather grass. 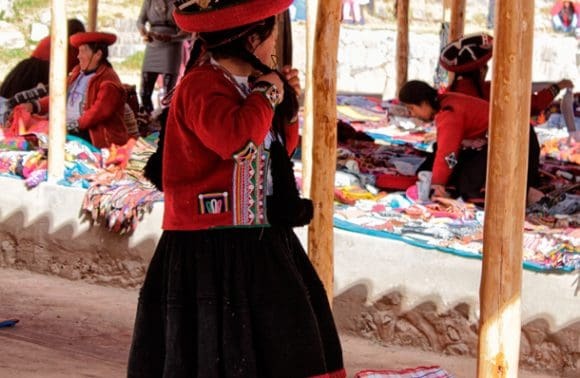 At its peak, from where the depression of the Colca Canyon can be seen, the “Lady of Ampato,” was found, the funerary bundle of an Inca girl. A never-ending destination that combines natural riches, living history, and adventure sports like canoeing, mountain biking, mountaineering, hiking, and horse-riding. The canyon is 3,400 metres deep. Along the length of the valley there are fourteen colonial towns, where it is possible to see extraordinary examples of civil and religious architecture, stone houses with thatched roofs, and temples such as those of the Lari, Yanque, Cabanoconde, and Sibayo, which constitute true masterpieces of Mestizo Baroque art. 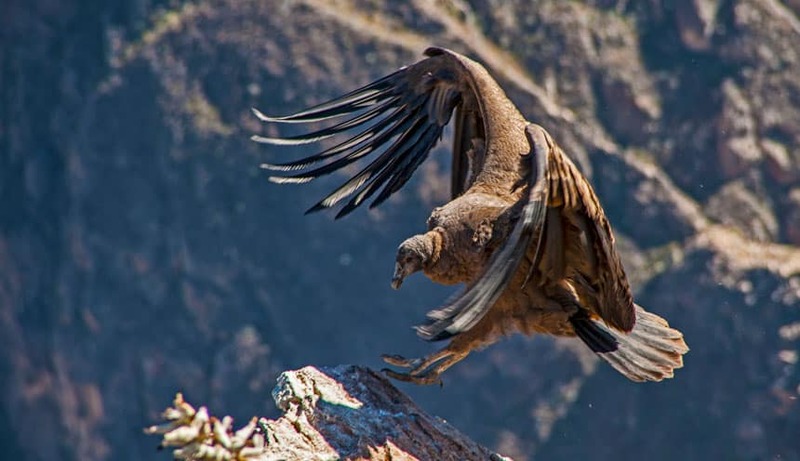 At the top of the canyon there are scenic viewpoints placed strategically to allow visitors to admire the landscape and the flight of the majestic condor. 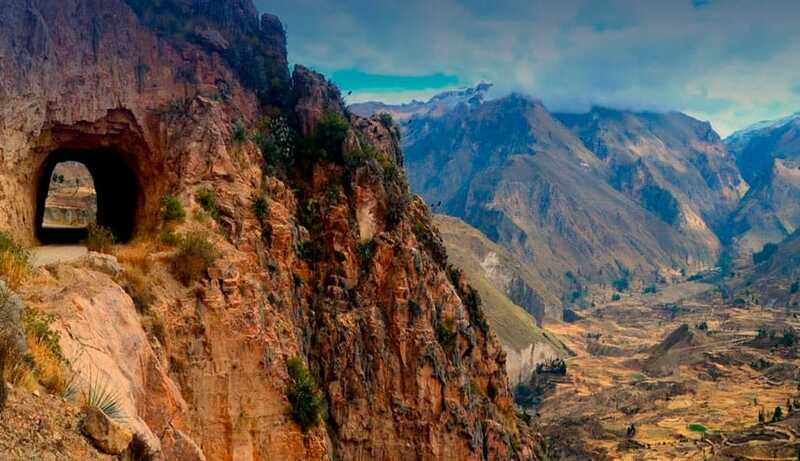 An outstanding natural attraction in the heights of Arequipa, which is home to great biodiversity and varied settings like the beautiful landscapes of the Coropuna and Solimana snowy mountains, the Sipia waterfall and hot springs, in addition to Cotahuasi Canyon, similar in depth to the Colca Canyon. The area has been designated a Landscape Reserve(protected natural area) and is perfect for hiking, canoeing, climbing, hang gliding, or mountain biking. Swamps, salt bogs, reed beds, scrublands and river estuaries, pasture, and sandy beaches spanning 690.6 hectares. Ideal for birdwatching (195 species have been documented: 75 native, 6 native sea-birds, and 80 migratory birds from the Peruvian jungle or the Arctic).